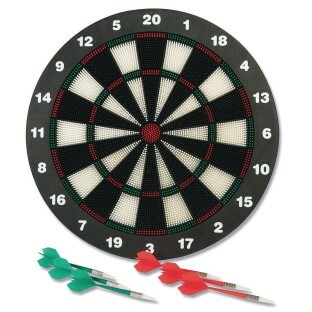 Safe and soft dart game. Safe and soft dart game is ideal for indoor and outdoor use. Flexible plastic darts have soft PVC tips that protect against damage to wall, furniture and even bystanders. 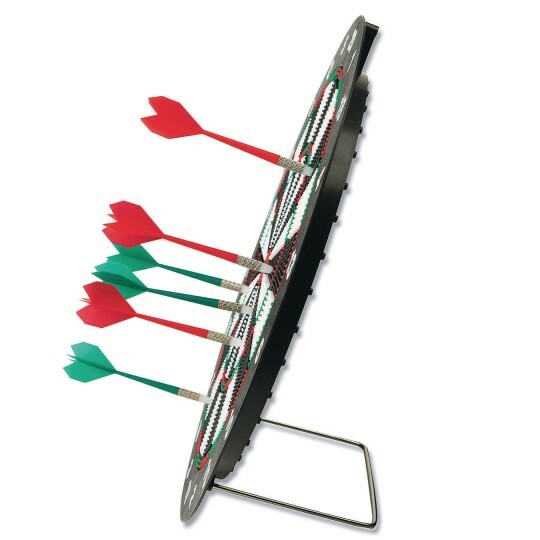 Includes 6 darts and a specially designed 18" diameter dartboard.